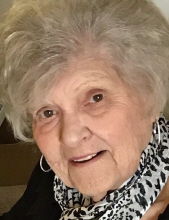 Marian Lorraine Faro (b. November 13th, 1924), resident of Leyden Township for 65 years, left this earth on Wednesday, March 20th, 2019. She died peacefully at home surrounded by her family on the first day of Spring, her favorite season. In 1969, at the age of 44 years old, Marian became a licensed real estate saleswoman and embarked on what would become a remarkably successful career in real estate. She began her career with Gladstone Realtors in Franklin Park (1970-1982), continued with Realty World Sundco (1982-1988), and concluded her career with Century 21 Atlas in Franklin Park (1988-retirement). Highlights of Marian’s nearly 40-year real estate and community volunteer endeavors include: Residential Salesperson of Year, Chicago Real Estate Board, 1975; Realtor of the Year, Leyden Board Realtors, 1981; President, Leyden Board of Realtors, Northwest Board of Realtors, Illinois Board of Realtors and Women in Real Estate; Flavia Marcucci Award, Women in Real Estate, 1976; Life Member, Multi-Million Dollar Club, Illinois Association of Realtors, beginning 1978; Board of Directors, Franklin Park Chamber of Commerce, 30 years; Individual of the Year, Franklin Park Chamber of Commerce, 1995; Member, PTA D84 Franklin Park Schools; Member, Franklin Park Woman’s Club; Member, Franklin Park Crusade of Mercy; and Member, Franklin Park Jail and Bail (Cancer fund charity). Marian was an avid and loyal Cubs fan who once threw out the first pitch at Wrigley Field. She was overjoyed to witness her Cubs win the World Series in 2016. Marian was fortunate to be in excellent health for most of her life. In early 2001, she suffered a minor setback: a broken hip following a fall while at work. Luckily, this injury didn’t slow her down, figuratively or literally; the paramedics who arrived at her office to take her to the hospital patiently waited as she wheeled herself around in her desk chair, calling her clients to reschedule the day’s appointments before she’d agree to be put into the ambulance. Marian’s recovery following her broken hip was unusually speedy – she had plans to attend Deanna’s (her oldest granddaughter) college graduation just weeks later, and anyone who knew Marian knows that when Marian put her mind to something, there was no stopping her. Also aiding in Marian’s ability to recover quickly were the rehabilitative aquatics aerobics class at Westlake hospital she began attending following her fall and attended twice weekly until the age of 93; she derived great joy from – and made many lasting friendships at – those swimming classes. Other hobbies included entertaining (she and her husband Ted threw countless pool/birthday/holiday parties from their Franklin Park home); tending to her houseplants; playing Pinochle; and celebrating Independence Days with her family at Van’s and Nancy’s house in Michigan, where she competed in the Annual Faro Family Bocce Ball Tournament until she was well into her 90s. In the final years of her life, although her ability to travel long distances became limited, she enjoyed spending weekends at April’s and Tom’s lake house in Braceville, IL, where she’d occasionally drown a worm or two in Lake Celkis. Marian was generous, philanthropic, open-minded, forthright, fiercely loyal, good at listening and giving advice, appreciative of humor, and a first-rate milkshake maker and short order breakfast cook to her eldest grandkids when they’d sleep over at her house following a pool party. As Marian’s grandkids grew into adulthood, she developed a penchant for making Jell-O shots, and her milkshakes graduated to frozen grasshoppers. Marian cared deeply and unconditionally for her family, and those who knew her well will miss her tremendously. Marian is survived by: Her four loving children and their devoted spouses: Vance (wife Nancy) Faro; Gaye (husband William) Lutz; Melody (partner Paul) Center; and April (husband Thomas) Celkis; her 8 grandchildren, whom she loved dearly: Deanna (husband Robert) Somerton; twins Cynthia (wife Meredith) Witz-Gebhardt and Eric (fiancé Rebekah Weihrauch) Witz; Christopher (wife Amanda) Celkis; Cory Mixan; Brian Celkis; Katelynn Celkis; and Gabrielle Center; her 7 great grandchildren who brought her great joy: MiaRose Mixan; Richard Mixan; twins Eleanor and Abigail Somerton; Oliver Celkis; and twins Evelyn and Lincoln Celkis; her sister Joan Graff; and many in-laws, nieces, nephews, and friends too numerous to list, but certainly not forgotten. Marian was preceded in death by: Her parents Bernard Frank and Grace (Rutzen) Frick; her dear husband of just shy of 60 years, WWII Veteran Ted Faro (d. 2008); her son-in-law Alan Witz (d. 2010), and her siblings: twins Marjorie and Martin; Raymond; Clyde; Grace; and Charlie. Marian’s family would like to thank the doctors, nurses, and physical rehabilitation staff at Westlake Hospital and the nurses and case managers at Seasons Hospice & Palliative Care of Chicago for providing optimal care to Marian in the final months and days of her life. A celebration of Marian’s life will take place in May, at which a buffet dinner and an open bar will be provided. Marian’s family encourages friends of Marian or of her family members to please attend, eat, and imbibe in Marian’s honor. Please contact Sax-Tiedemann Funeral home at (847) 678-1950 or www.sax-tiedemann.com for memorial details. "Email Address" would like to share the life celebration of Marian L. Faro. Click on the "link" to go to share a favorite memory or leave a condolence message for the family.